PLAINVILLE - The Plainville Choral Society’s spring concert, “No Place Like Home,” will be held April 26 and 27 at the Middle School of Plainville. The performance, under the musical direction of Greg Wilfrid, will be held at 7:30 p.m. on both days at the school at 150 Northwest Drive. Wilfrid said that the program will “inspire you to hold close your ideas of home” - be it a building one lives in, the people they have surrounded themselves with, the nation their family originated from and more. “Through the eyes of Paul Simon, The Wiz or Dorothy herself, we will revisit some of our favorite music together in this spring production,” said Wilfrid. 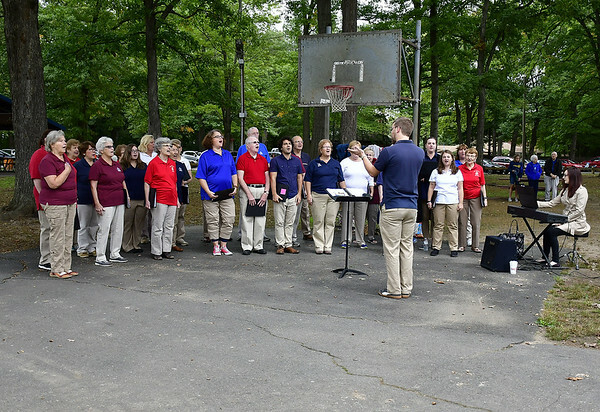 The program will also feature music from well-known musicals such as “Be Our Guest” from “Beauty and the Beast,” “On the Street Where You Live” from “My Fair Lady,” a medley from “The Wizard of Oz,” traditional folk songs like “900 Miles” and “Home on the Range” and old standards including “Won’t You Come Home, Bill Bailey”, “Sentimental Journey” and more. Kelly Sharp of the Greater Hartford Academy of the Arts will be performing with a group of approximately 40 members from Plainville, Bristol, Southington, Farmington, West Hartford and other area towns. Chris Kuzia from the YWCA in New Britain will be providing her choreography talents. Advance tickets are $15 for adults and $5 for children. Tickets purchased at the door will be $18. Tickets can be bought from any Plainville Choral Society members, or at Dancingly Yours, the Plainville Senior Center, Saint’s Restaurant in Southington and Family Barber Shop. Tickets can also be bought online at pcsmusic.net. For more information, contact Michael Fox at 860-477-8000. Posted in The Bristol Press, Bristol on Monday, 15 April 2019 21:18. Updated: Monday, 15 April 2019 21:20.